 Welcome to the Porirua Project. At Porirua Project, we want all children to have has the opportunity to play to their heart’s content. Play is absolutely essential for the development of all children. The “children’s right to play” is acknowledged worldwide, recognised in both the United Nation's General Assembly’s Declaration of the Rights of the Child in 1959 and the Convention on the Rights of the Child (in 1989). Kids can experience play in a variety of ways, such as crafts, board games, toys, and make-believe games. At the Porirua Project, we give the kids the opportunity to learn through Music, and Physical Activity, but there are so many ways to experience play at home also! Play is important for children, they need it to develop into the amazing Porirua citizens we know they can be. They need the chance to play with other children, to learn what sort of play is and is not acceptable, to develop social, creative, physical, and mental skills that they need in life. Kid’s need to play. Our kid’s need to experience play, we acknowledge and understand that this isn’t always possible at home, this project’s goal is to make sure all kids, can play. Porirua Project is a collaborative effort on behalf of two Porirua non - for - profits, Olé Football Academy (est. 1997) and Virtuoso Strings Orchestra (est. 2013) to make a lasting impact in the lives of Porirua, New Zealand based children and families. The project takes place at Freedom Church, Porirua, from 3.30pm-6.30pm on Wednesday’s and Thursday’s. The kids attend both days, and are given a nutritious afternoon tea and dinner. The kids are divided in half, and then each afternoon go with either Ole Football Academy, to play some football based activities, or with Virtuoso strings to learn to play stringed instruments. The following day, they switch activities. Both organisations have proven track records of working successfully with children and families in the Porirua community for a combined 25+ years. The "Let Them Play" Project offers free and grant subsidised long - term (3+ year) play, opportunities to Porirua based children and young people between 5 - 12 years of age.